If you need to get your hands on some cash quickly, pawning a luxury watch is one option to consider. But, how does a pawnbroker work out how much to lend against your timepiece? There’s no one single consideration that pawnbrokers refer to when deciding how much a pawned item is worth. They tend to take a wide variety of factors into account, specific to that time. When you take a luxury watch to a pawnbroker, the first thing they’ll consider is its market value. Although around 85% of people reclaim their pawned possession after they’ve paid a pawn loan off, a pawnbroker needs to think about what happens if someone can’t afford to pay the loan back. The pawnbroker will then have to sell the item in order to recoup the money lost. Assessing the watch’s market value determines what the watch could be sold for if the pawn loan isn’t paid back. A pawnbroker will use a number of factors to work out market value, including tapping into their own industry knowledge and expertise, as well as referring to current watch price lists and similar items for sale on sites such as Amazon or eBay. In some cases, if the luxury watch is rare or very unique, the pawnbroker may need to draft in expertise from a specialist to evaluate its market worth. Bear in mind that the market value of your luxury watch won’t equal the amount you’ll be allowed to borrow from a pawnbroker. In most cases, a pawnbroker will only offer you around 60-70% of the actual value of your watch. Plus, there’s also the interest on top of the loan to consider. How much a pawnbroker will let you borrow against your luxury watch will also be influenced by demand and supply factors. If the market is already saturated with this brand or model of watch, its value amount will be lower than a watch that is highly sought-after and in short supply. Demand and supply trends can change over time, so if you pawned the same watch a few years ago, bear in mind that its value may fluctuate if market variables have since changed. Pawn loan values will also be decided according to the specific brand and model of the watch. More exclusive models will command higher values, especially those that are considered investment pieces or from limited edition stock. 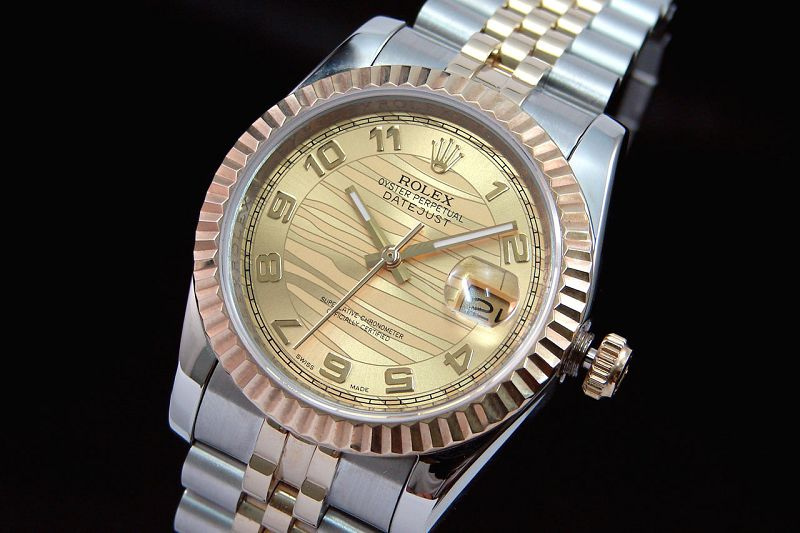 Brands such as Rolex are always in great demand from collectors, for example, so you can expect a good financial return in this instance. Before deciding the loan value against your luxury watch, a pawnbroker will scrutinise it thoroughly to check its condition. Precision is vital in many luxury watches and any malfunction with the timekeeping or its components could impact on its future saleability, therefore lowering the loan value. In some cases, if the watch is highly sought-after, minor imperfections may not impact the loan value too much, especially if these can be repaired. Watches that have been cared for and stored properly will often command higher values than those that haven’t. It’s not just the attributes of the watch that a pawnbroker will consider when deciding upon a value figure for your loan. They’ll also weigh up the likelihood of whether you’ll pay the loan off and redeem the watch, or whether they’ll end up having to sell it on. Pawnbrokers make money from the interest of the loan. They want to see customers pay the loan off and claim back their item, rather than having to try and sell it on themselves. Therefore, if they think that the customer stands a good chance of paying the loan off, they may offer a more generous loan value than one who doesn’t. How can a pawnbroker know what to expect? If the customer is a repeat one, who has pawned the watch before, there’s a good chance they’ll repay the loan and reclaim their watch again. In fact, 80% of people who use a pawnbroker do so at least twice per year, typically using the same pawnbroker. The pawnbroker will also assess whether the customer actually wants to retrieve the watch, basing the loan value on how important or sentimental the watch is to the person. If it’s a family heirloom, the customer is more likely to want it back after the loan period compared to someone who’s pawning a watch given to them by an ex-partner, for instance. Again, higher loan values may be offered if the watch is of personal value to the customer, as they’re more likely to pay the loan off. In order to ensure you get the best deal when negotiating a pawn contract for your luxury watch, it’s always a good idea to choose a reputable and professional pawnbroker, such as New Bond Street Pawnbrokers.